When I was younger, I remember begging for the "cool" cereal that had the coolest toy in it. As a parent, I was excited the first time I seen a book inside the box of cereal! Not just a cheap and corny book, but a quality educational book! 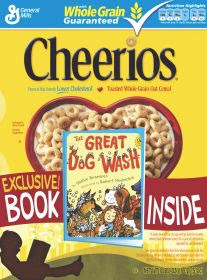 Cheerios has given away more than 35 million children's book in cereal boxes. 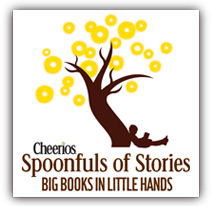 Cheerios has also donated almost $3 million to First Book, their non-profit partner, which provides books to low-income families. In its third year, Cheerios is looking for anyone interested in writing children's books. This is to encourage previously unpublished, up-and-coming children's book authors and to nurture a love of reading. Entries will be accepted until July 15, 2009. 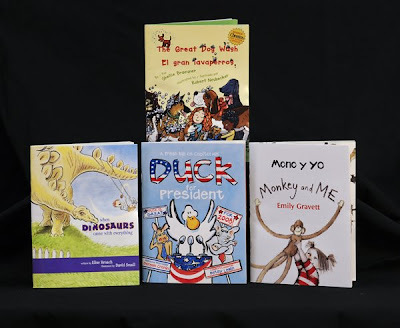 Entrants will be judged on appropriate story and content for children ages 3-8, emotional connection, writing quality, uniqueness, and read-aloud potential. For more information go to Spoonfuls of Stories Contest. Cheerios has sent the Morris Bunch a Spoonfuls of Stories gift set. This included all four of these books that you see. Two of the books are in English and Spanish! All of the books have something great to offer our children. The favorite in our house is definitely Monkey and Me by Emily Gravett. My girls love monkeys! We tell them all the time that they are monkeys. They also love books about animals which is what this book is about. I love that I can read the book in Spanish or English to them. Cheerios has also offered 1 lucky family their very own Spoonfuls of Stories gift set. If you could be a character from a children's book, who would it be? After that as long as the comment meets qualifications then you can continue entering! This giveaway is open to U.S. addresses only. 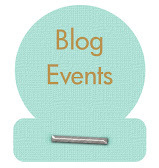 You do not need to be a blogger to enter, but you must have a valid email address. If you enter anonymously without providing an email address, then I will choose another winner. You can enter as many times as you would like andyou can post twice in a row! I will pull a winner sometime at 12AM EST on 4/25. I won't be telling you how far I will let it go, so keep posting! You can post consecutively. I would love to be Tigger cause he is just so bouncy and always full of energy! I would be Duck (from the Duck & Goose series). They always have so much fun! My favorite children's book has always been The Giving Tree by Shel Silverstein. I have 2 copies of it because the 1st is so worn out! Oh but the Strawberry yogurt one's are pretty darn good too. Our favorite kids books right now are the Little Critter series. I'd be Mrs. Wishy Washy. I'd love to live on a farm. I used to mix my cheerios with orange juice because I was allergic to milk! Another favorite book was Bernstein Bears!! I loved them! As I got a little older, I was OBSESSED with The Baby Sitters Club: Little Sister series. I loved books. LOL I will just keep commenting about them. I used to be a big reader before I discovered the world of INTERNET haha!! Another favorite was The Pokey Little Puppy. So cute. I look forward to reading Aubrey that story! I would be David from the David Shannon books (No! David, etc.) because he gets to have all the fun! My favorite Cheerios are Multi-grain Cheerios! Yummy! I just realized that one of the books in this group has the duck from the click clack moo books! lol I would vote for him, he is way smart! Where the Wild Things Are has always been a favorite of mine. I have read it over and over to my boys! I wanted to decorate their room with that but it was hard to find stuff for it! Another favorite of mine is Goodnight Moon. That is just one of those sweet classic storybooks that is great at the end of the day... or in the middle of the day when you are cuddling on the couch and feeling calm. Guess How Much I Love You is a newer favorite of mine. I even got the Baby's First Year book for Leo with that theme. It is so sweet. I looooooove Cheerios. I love the plain ones but my favorite is definitely good old Honey Nut. Those things are addicting!! I am very interested in this Spoonfuls of Stories program... I have always toyed with the idea of writing a children's book. I have bunches of ideas but never actually sit down to do it! A really cute book series for younger kids just learning how to read is the Junie B. Jones series. SOOO cute! I just recently bought a Junie B Jones book for my best friend's daughter who turned 6. When Catie opened the present, all the kids said "Oooooooh Junie B Jones, COOL!!!!" LOL! I have a book called Mama Mama that I read to Aubrey :) it's very cute! Elena's current favorite book is The Monster at the End of the Book. It has Grover in it! Too cute! I have a whole library of books down in my play room, I could go on for hours about favorite books. Dr. Seuss is of course a favorite author, you can never go wrong with one of his books....A person's a person no matter how small! Val, Mikaela totally loves the Junie B Jones books, she just read one on Saturday we got from the library! The Flat Stanley books are a favorite of hers too! I would love to write children's stories. It has always been a dream and I have lots of ideas but don't really know how to begin! I also love The Kissing Hand and Pocket Full of Kisses! I always loved the Ameila Bedelia (sp)Books. So much fun! Matilda by Roald Dahl was definitely one of my favorites. The movie they mde it into is fantastic as well. I'm back again!! I love books, what can I say?!?! How about the Berenstein Bears?? I think I had ALL of them at one time... 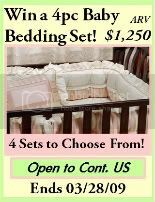 I wish I still had them now for Brayden... I'll have to start looking around for them. i would like to be olivia. i've always wanted to have a great imagination like that. besides, how great is it to be the center of all that drama (instead of having to clean up after it). i'm really enjoying the magic treehouse series with my kids right now. i like that they learn a lot and enjoy the well-written story. my favorite cheerios are the ones with the oat clusters. I wanna be Harry Potter! Thanks for the giveaway. One of my favorite books is "I Am A Bunny" and Leo loves that one too. I remember reading that one when I was very small. Now, when I read it to Leo, it brings me back to being a little kid -- looking at those same pictures. I would be Thomas the Train. I actually really like the multigrain Cheerios. They're just sweet enough without being too sweet. The Cat in the Hat is a classic! Green Eggs & Ham always grossed me out since I'm SO picky! LOL! I wonder if Goosebumps is still around? lol That was my brothers favorite book series! Clifford the Big Red Dog was another favorite! My grandma bought Aubrey a Clifford pop up book. She loves it! I also loved the Little Golden Books! I almost forgot another favorite! Babar!! The strawberry yogurt Cheerios sound interesting! I might have to try them!